You can discard this card to the Graveyard to take control of 1 face-up Fiend or Zombie-Type monster your opponent controls until the End Phase this turn. 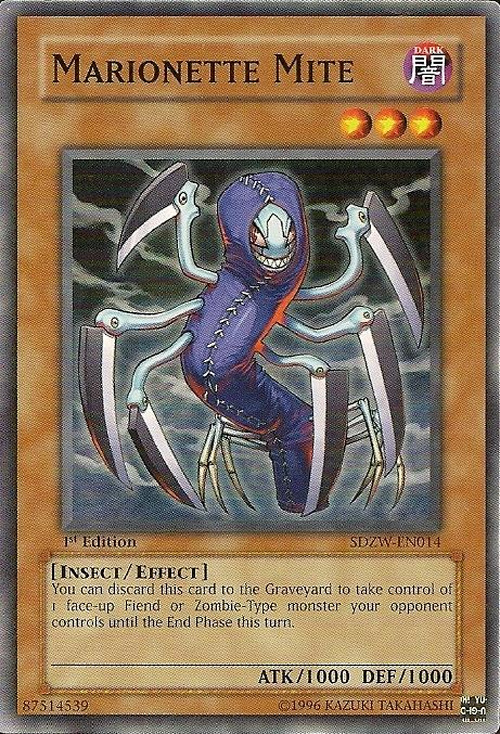 This card shares an akin effect with Electric Virus and Puppet Plant, but each of them affect different Types of monsters. Also, all of these cards have the same Level, ATK and DEF. This is an Ignition Effect activated from your hand. Discarding this card is a cost to activate the effect. 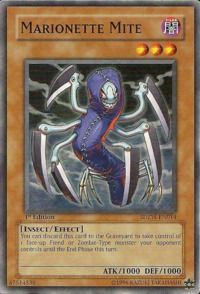 If the targeted monster is flipped face-down by an effect chained to this card's activation, control of the target will not switch. If "DNA Surgery" is chained to this effect, so that the target's Type changes before this effect resolves, then the effect is not applied.